Lessons with Earth Kitesurfing School are the safest, most enjoyable and exciting way to begin your kitesurfing adventure. 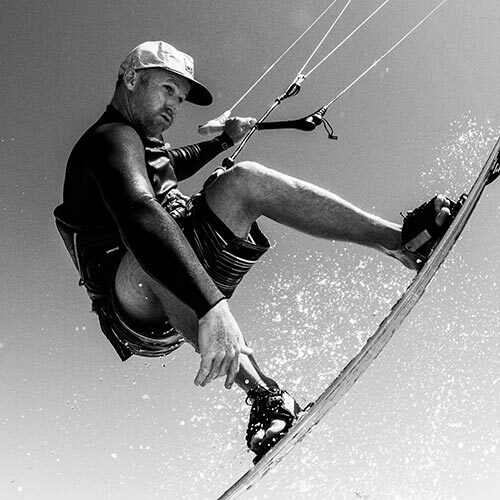 We would love to share our passion for kitesurfing with you. Our goal is to help each and every customer to become an independent kiter through safe instruction. We are blessed here in the Northern Rivers with some amazing uncrowded spots to teach, endless sea breezes both in the ocean waves and in flat water. This is the perfect combination for students of any skill level to come and enjoy some time on the water, whether you’re a complete beginner or an experienced kiter. Kitesurfing is a relatively easy sport, with correct instruction. Harnessing the elements energy, however it can be dangerous when you have little or no experience, which is why lessons with a professional kitesurfing school are a must! Please take a look at our Frequently Asked Questions page for more information about Earth Kitesurfing School, and the locations we teach. Aaron Smith has a passion for the ocean! Aaron has been competitive sailing since he was 7yrs old, then as a teenager took up surfing, also competing and for the past 10 years has been an avid kite surfer when the winds are right. Realising he can share his passion for teaching and help your dreams come true through learning to kite surf. Aaron thrives on the energy created by these adventure sports! Aaron is a credited surfing Australia surf coach, and kite boarding Australia level 1 kite surf instructor. Aaron can teach you how to ride a wake style traditional kite board and also surf board strapped or strapless! Depending on your interest we can help you achieve your goal!